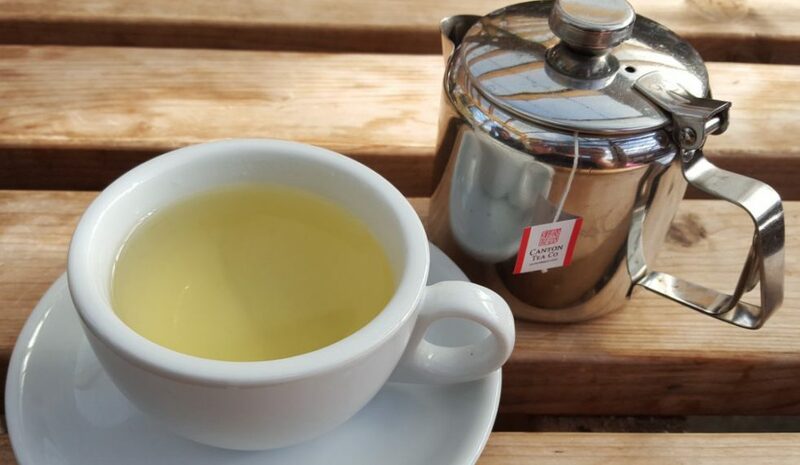 This blog entry is my second review for the white2tea club. So far I am enjoying the randomness of what is being received and this month was no exception. This month I received a 100g cake of 2016 Y&P and three balls of 2013 Fengqing Black Tea. This month we are comparing two different styles of black tea, both made from Yunnan material, but one with a Fujian-esque style of processing. All tea is a finite lump of clay. You can mold it one way or another, but going in any one direction will have trade offs. One of these black teas (the A&P) was made in the direction of mouthfeel, aging and smoothness, while the other (2013 Fengqing) was made in the direction of fragrance and flavour. 2016 A&P – We commissioned this tea in the early Spring from Lincang area Puer material. The tea is just starting to settle down. It was traditionally processed and sun dried, leaving it slightly raw, and it should improve with age for several years. (Beyond that time frame, I have no idea). It is chocolatey and deep, with a smooth mouthfeel. 2013 Fengqing Black Tea – This tea was dried using a heating machine and heated room in order to boost its fragrance. It has aged well, but may have a slight sour note on the back. This tea was stored in Guangzhou after production in dry natural storage. You may notice that what this tea gained in fragrance, it sacrificed in mouth feel – though it should give you an idea of pressed black teas ability to age and offer a contrast to the freshly made and pressed A&P. I mentioned above that this is my second W2T club package and so far it seems very educational. Last month I was comparing Pu Erh and black tea which was grown on the same farm, was the same tea but processed differently. This time I am trying two Yunnan grown teas that have been processed in different ways. The comparisons are fun though, like a challenge whilst learning. Notice how there are two balls pictured yet I said I was sent three? I had an early try of one to try and get the steeping parameters right. I failed. My idea was to use a gaiwan for it to see if I can pick up on some of the aforementioned flavour and fragrance increases; little did I know the ball would refuse to break down nicely and the result was so mild I felt I couldn’t appreciate it. Lesson learned and back to the teapot for this steep (which should be better). The balls are wrapped in foil which always reminds me of special chocolate truffles. This was silver on the outside and a gold on the inside, which felt like a nice surprise as I unwrap one of them. Inspecting the tea I notice the blend to contain half golden tip and half dark leaf. The golden tips have some downy hairs and a Tiger’s Eye shine. As a whole it’s pressed tightly but if I was careful I could pick off some of the outer leaves, so it’s not fully compacted. I mention this as the compression of the tea ball will show how quickly and easily it will break up whilst steeping. This is also why I thought a gaiwan steep would have been adequate. Aside from it’s appearance there is the scent, and this tea ball packs a punch. One sniff fills my nostrils with a malt and wood combination that lingers in the air with some sweetness. I wet the ball slightly to see what impact it has on the fragrance, now there is a sour cocoa note amongst the ever thick wood and malt. Steeping one ball (which I think is approx 6g) in a 220ml gongfu teapot with boiling filtered water. Tea Colour and Scent – The colour is yellow and it bares a sweet malt scent. Tea Flavour – Subtle in strength but with some sweet malt and mild cocoa notes. Slightly sour but mostly smooth and honeyed. Tea Colour and Scent – The colour is now orange with a sweet cocoa scent. Tea Flavour – It’s like a completely different tea now that the tea has broken apart. Medium strength with sweet malt, sour cocoa and a creamy after taste. The flavours as a whole are short lived and within 20 seconds after my initial sip my mouth returns to be neutral. Tea Colour and Scent – Burnt orange in colour with a sweet yet sour cocoa scent. Tea Flavour – This has toned down from the second steep but still has flavour. The sweetness is dominated by a sour increase with an even shorter lived cocoa and malt melody. It’s a sip and gone affair. Overall – I began to see during the second steep what W2T initially said about this tea lacking the mouthfeel quality. While it smelt divine and tasted pure it did not last for long. In some ways that is a positive trait, each sip refreshed my memory of the tea and there was little to no dryness in the after taste. In fact it was very light, sometimes I had forgotten what it tasted like until I had another sip. Also the steeps were worlds apart from each other and at times it felt like I was drinking a completely different tea. It amazed me how a tea could be so complex one moment yet so pure the next. Some sourness was mentioned but I think it played well with the cocoa flavour and they aided each other. In terms of processing I want to agree with their statement, this was a fragrant tea. Now I can understand the terms of what a heating machine and a heated room do to a tea, and also what the result tastes like. In fact I have tasted some similar teas before and it makes me wonder if they were produced in a similar fashion? I love the cake wrapper. I squealed with delight as I opened the wrapper (as carefully as a surgeon doing an operation) and found a little statement in one of the corners. Also another little ‘easter egg’ in the opposite corner. The cake itself consists of mostly dark leaves with some golden tips spread throughout. This tea is more compact than the other, it’s tightly compressed and almost smooth in comparison. Also it’s easier to see that with this cake the leaves look long and whole. There are also some stems present which like the golden tips; have a reflective shine. The scent of this is very subtle. At most I would say soft wood and chocolate. I wet it slightly to see if it increases the scent, it does. Now I can note dry wood and malt notes too. Also a quick note to say I love the White2Tea certificate/stamp. I will be using approx 6g of tea in my 220ml gongfu teapot with filtered boiling water. Tea Colour and Scent – The colour is burnt orange and it bares a thick, malt scent. Tea Flavour – This has a lot of flavour for a one minute steep. It has both malt and dry wood attributes with sour cocoa that transcends into chocolate for the after taste. Some sweetness though mostly sour and with a rich mouth feel. Tea Colour and Scent – Red colour with a sour malt scent. Tea Flavour – Thick and rich with sweet malt dominating a sour wood undertone. The aftertaste is cocoa like and sour but smooths out quickly. Also slightly drying in the after taste. Tea Colour and Scent – Orange/red colour with a sour wood scent. Tea Flavour – It’s toned down but still thick in malt and sourness. Whilst still sour it has at least relaxed and it doesn’t last for long. The after taste is just as thick but evermore drying. Perhaps my favourite steep as the balance is better. Overall – A thick and flavourful tea which is more like a classic black, albeit better quality than average. It’s a good quality everyday black tea which has it’s pro’s and con’s. I found it became sour very quickly but I did enjoy the richness of it. The processing tastes more like a classic black tea and what I am more familiar with, so this method must be quite common in production. It’s also my usual preference in a black tea, I like them strong and rich. It says that this tea should improve with age and I am very tempted to test that theory, given that it’s a new tea it should smooth out in a couple of years. If I can leave it alone for that long! Comparison: White2Tea were very right in saying that the A&P had mouth feel (thickness/richness) and the Fengqing was fragrant. One was light and the other dark, with only the sourness to connect them. Both were nice but overall I believe it comes down to preference. I am torn between the two, one had the body that I desire and the other smelled divine. I think the A&P wins it for me though as it’s something I would crave more than the Fengqing. The differences are more than I expected but at the same time I can see why they went down different paths. Depending on mood also depends on which one you would pick, I think the Fengqing would be delightful on a hot summers eve and the A&P is a classic tea for whenever, assuming you can handle it’s richness at any time. Another lesson learned and a little more tea knowledge gained. Thank you White2Tea.